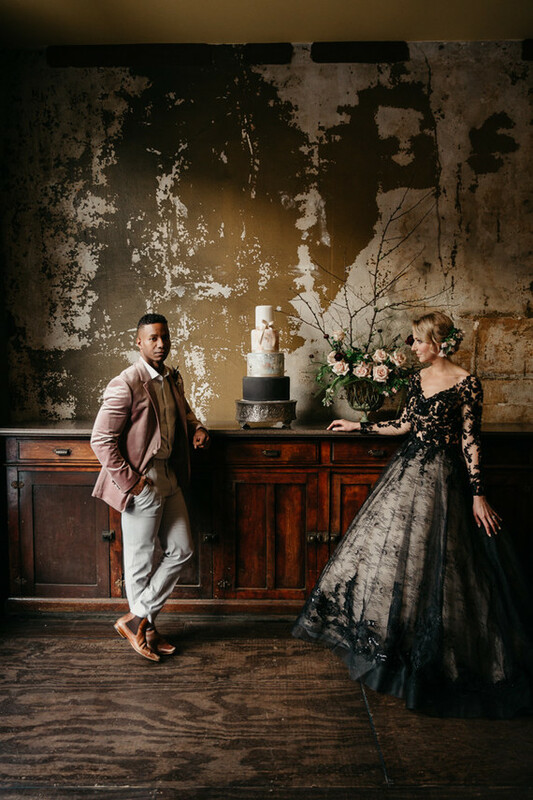 Though winter has passed, we still have beautiful winter wedding shoots and weddings to enjoy. 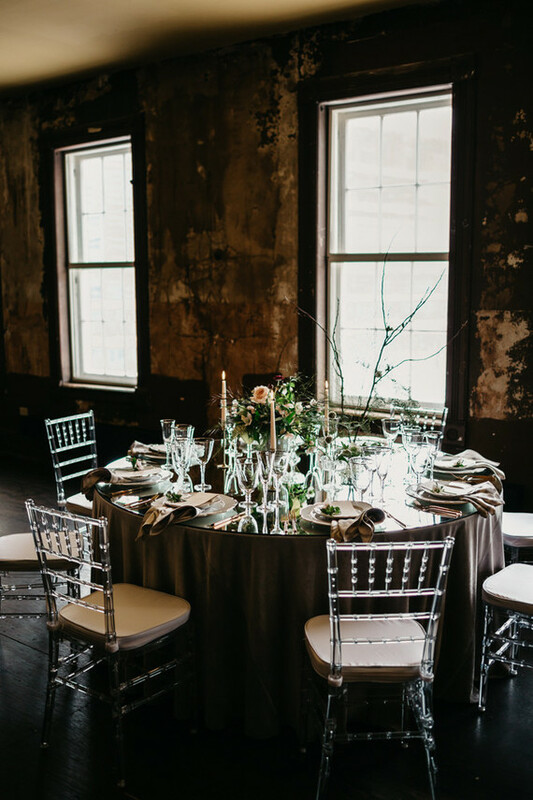 This Degas-inspired wedding shoot at Milwaukee’s Turner Hall features a moody, antique vibe to the midwest for an elegant celebration at this historic venue. 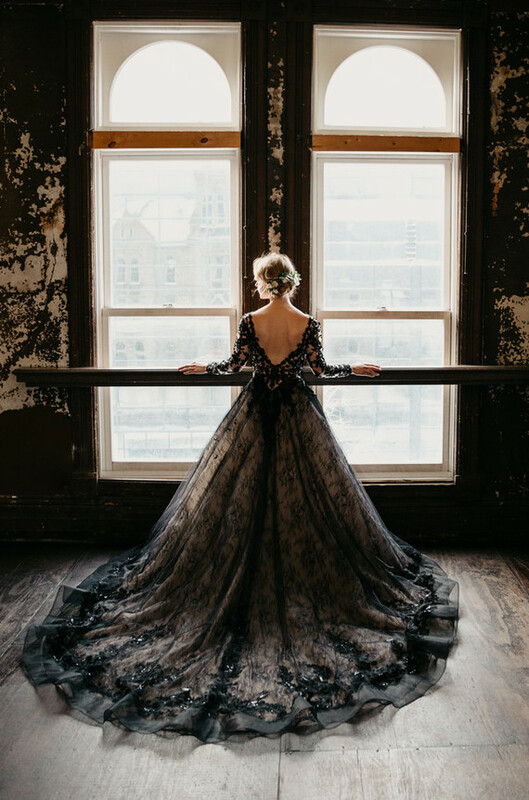 The color scheme chosen for the shoot was blush and black, the team incorporated Degas and dance inspiration in subtle, romantic ways. 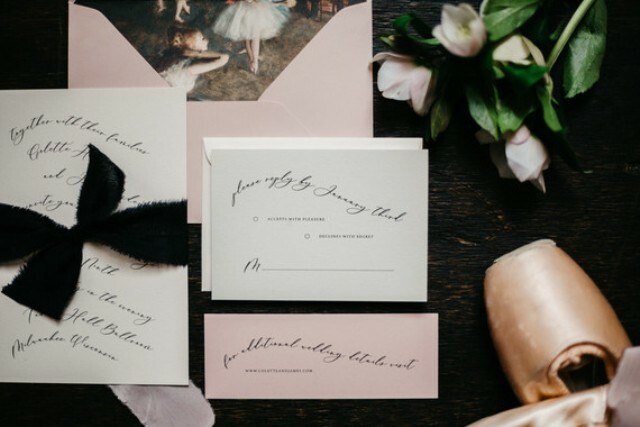 The pale blush and black stationery set the tone to the wedding shoot. 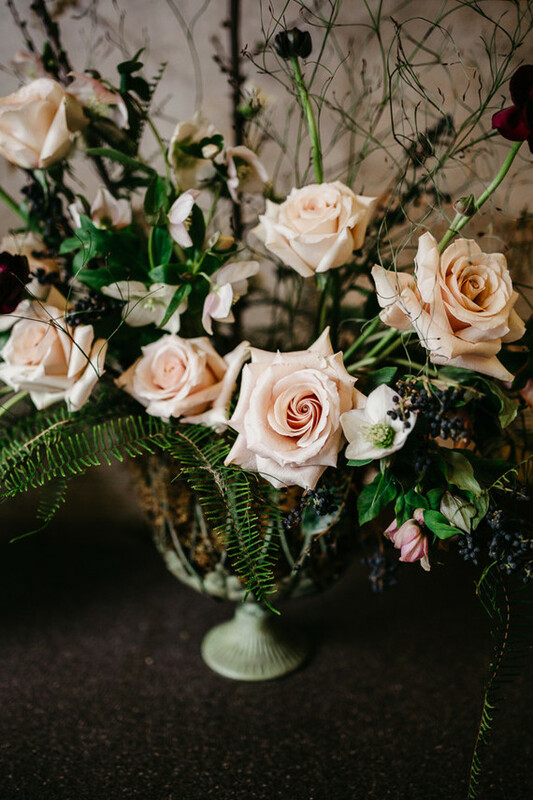 The wedding reception table was done in black and grey, with a mirror tabletop, blush candles and a blush floral centerpiece and blooming branches. 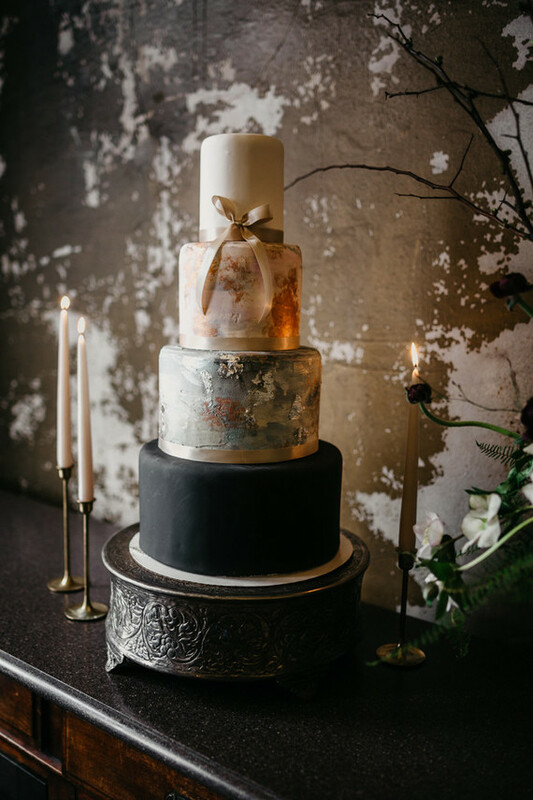 The wedding cake was a decadent and refined one, with a black, white and brushstroke tiers in various shades to remind of Degas – such small touches were incorporated throughout the shoot. 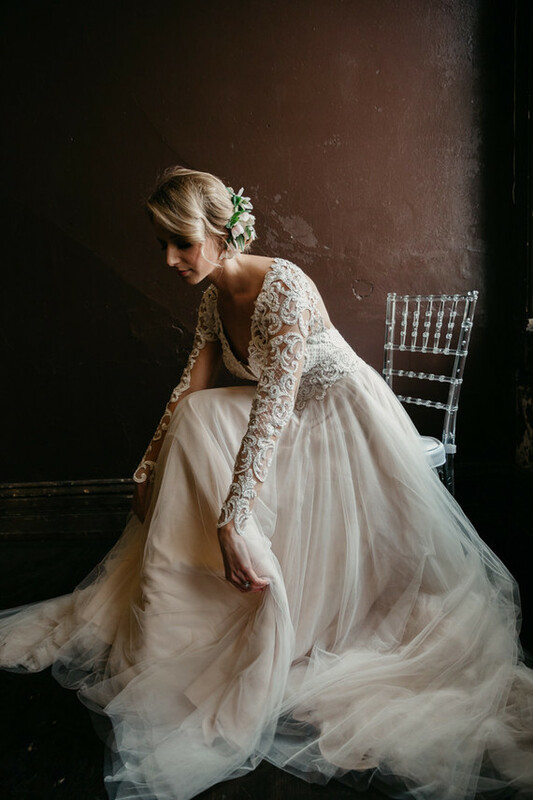 The bride wore a romantic, vintage-inspired lace gown for the ceremony, with a V-neckline and long sleeves and gold shoes. 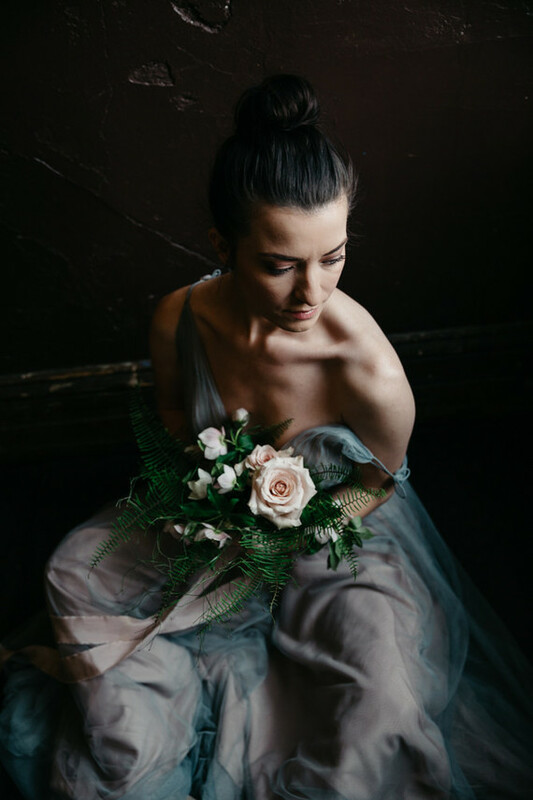 The bridesmaids were wearing mismatching blush and powder blue dresses and top knots to imitate the ballet dancers that can be often seen in Degas’s paintings. The second wedding gown was an A-line black lace one, with a V-neckline and long sleeves. 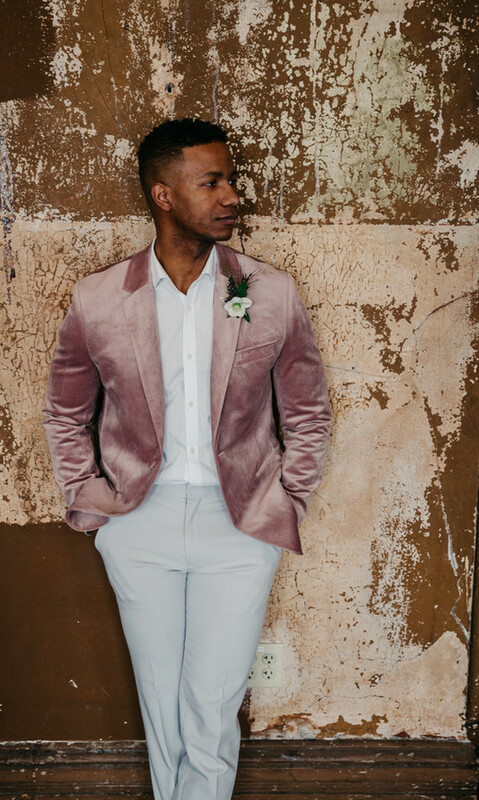 The groom was rocking a creative outfit with a white shirt, off-white pant, a pink velvet blazer and brown Chelsea boots – his look was very contrasting to the bride’s one. Take a look at the pics of the shoot and get inspired!